The Alzheimer’s Association, New Mexico Chapter holds FREE classes for families and caregivers facing Alzheimer’s and related dementias as follows. Location: 9500 Montgomery Blvd. NE, Suite 121, Albuquerque 87111. Contact Chris McCaffrey at 505-266-4473 or 1-800-272-3900 or email him at cmccaffrey@alz.org to register. 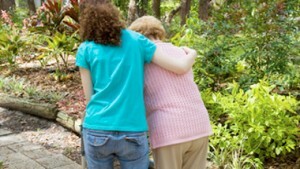 Train the Trainer presented by the Savvy Caregiver Program. A 2 day training session where participants will learn how to improve daily life as a dementia caregiver, identify disease characteristic and progression, best practices for dealing with behaviors and communication and information on respite and other assistance. Friday, July 29 from 9:00 am to 4:00 pm and Saturday, July 30 from 9:00 am to 2:00 pm. Lunch is provided. To register: call Candace at 575-647-3868 or email her at epthomas@alz.org.